Important: Make a test square in the pattern stitch in which most of your sweater will be done. The test square should be made by casting on about 25 stitches and working about 25 rows. Ideally the test square should be 15 x 15 cm. This size allows you to get a good measurement of the gauge without the interference of the selvage. 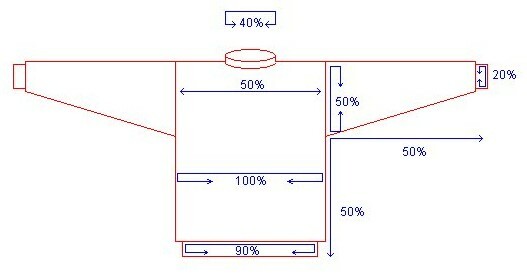 Knowing your gauge is critical to the proper fit of any sweater pattern. About the type of fit. It is not a sophisticated method. I add a factor to the chest measurement. The factors are Snug = 5 cm; Comfortable = 10 cm; and Loose = 15 cm.